You guys, can I just say how completely crazy this summer has been! I've been working like crazy to balance creating new content with freelance work - and of course trying to make sure I actually get outside to enjoy the short but sweet Midwest summer. The perfectionist in me absolutely hates letting myself slack on any of the three- and lately I'm just struggling to do it all. I'm trying to give myself some grace and remember that progress, not perfection is key. Can anyone relate? In true work and play fashion, Kyle & I spent Sunday running lots of errands (trying to finish off our living room décor.. finally)- and of course taking some time out to make dinner together and relax! I love the look of a blousy button down paired with cuffed denim. It makes it feel a little bit dressier, especially paired with wedges. 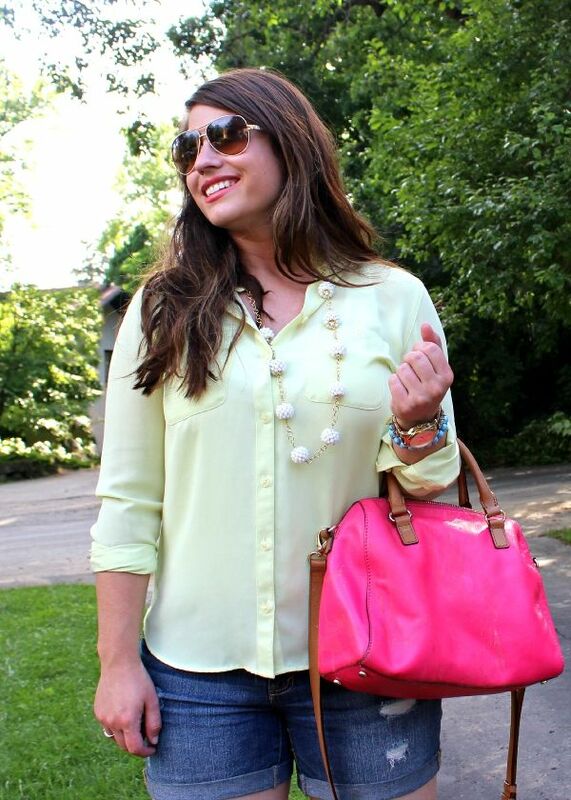 I love the preppy feel of citrus colored lime paired with hot pink. Side note: Kyle & I are celebrating our fourth anniversary this week- another reminder of how quickly time flies when you're having fun! Trying to make a conscious effort to make time for both work and celebration this summer! What fun do you have planned for the rest of summer? Love this look. The pink bag really makes it stand out. 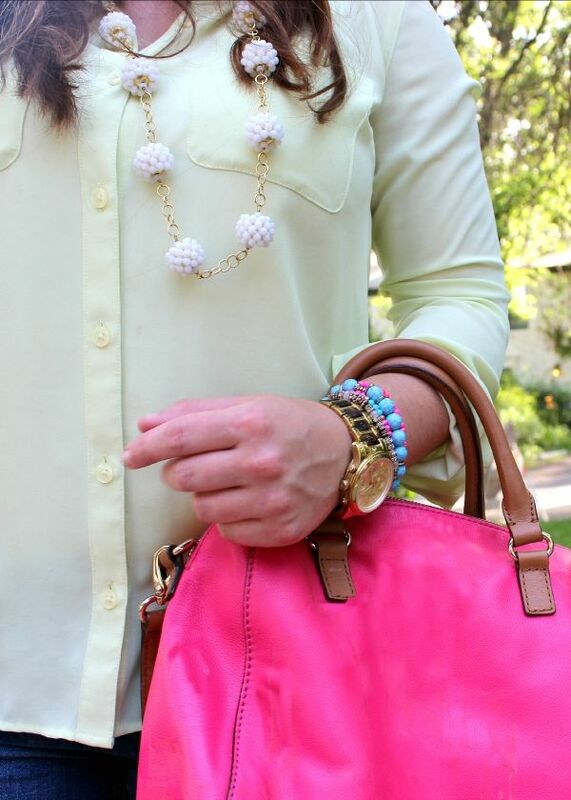 Oh that bag adds such a cute pop of color! And that top is so great.